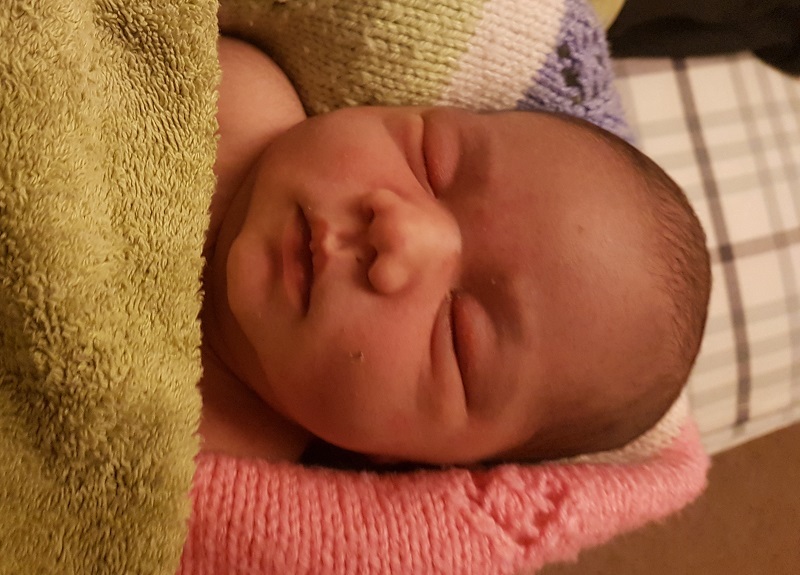 Seren’s Birth Story really begins with her sister Clara’s, who was born two years earlier by emergency Caesarean section after a classic cascade of interventions; overdue induction, epidural, failure to progress, and ultimately surgery. 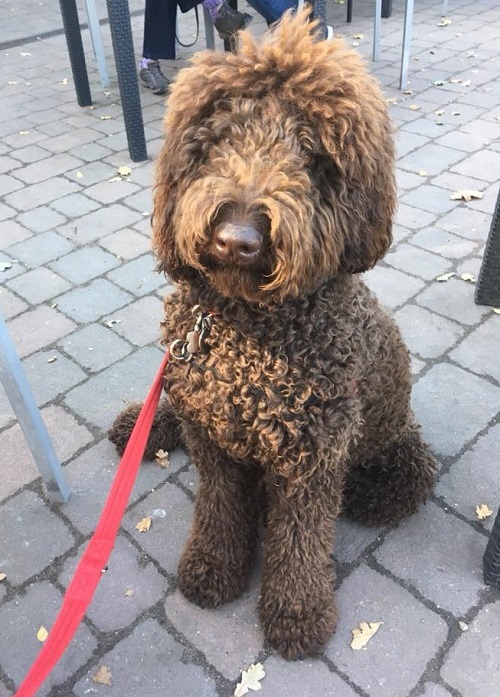 After three days and nights lying on my back being constantly monitored; feeling lonely, scared and isolated as my husband wasn’t allowed to stay with me at night; desparately hungry and weak because I'd been advised not to eat or drink… surgery seemed the only option. Through the numbness I felt terribly grateful to the hospital for saving my baby from her failed mother’s body. Yes, I felt I'd failed and I wasn't ready to process my disappointment, or the shock and trauma. I didn't even recognise that it was trauma for some time. It lay buried beneath the joy and relief of finally holding our beautiful baby daughter. The surgeon found me on the ward afterwards to tell me that 75% of women who have Caesareans go on to give birth naturally - the first time I heard the term VBAC. “Why are you telling me this?” was all I could think. Reeling from major surgery and a mother for a matter of hours, another baby was not on my horizon, let alone her manner of birth. But her words stayed with me and I became grateful for this snatched 20-second conversation that she had bothered to come back and have with me. Fast forward a year and a half, and my husband and I are sitting in the hospital coffee shop after our 12 week scan. Seren is officially on the horizon. I am explaining to him with some force - people are looking - that I plan to do things differently this time. That there is no question I’ll be having a Caesarean or coming near this place again. He looks bewildered. His belief was, and to some extent remains, that the doctors saved our baby. I am surprised myself by the force of my conviction. It is coming from deep inside me. I get home and start Googling. 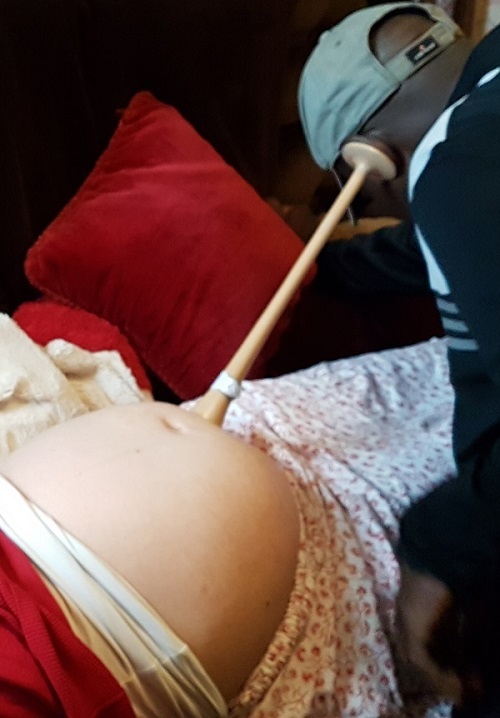 I found an article about a beautiful home birth helping to heal the scars of a traumatic first birth and I just begin to cry and I don’t stop for some time. This is me beginning to understand. You see, I didn’t even realise I had experienced that hospitalisation as traumatic. It’s something I unpack over the six months that follow. I throw myself into preparing for this birth in a very different way. I stand my ground when a consultant tells me “It would be safer if all babies were born by Caesarean”, that I am selfishly thinking of my own experience at the expense of my baby’s, and as a parting shot, “Well, I’m the one who sees women coming back with bladder problems in their fifties.” At the time I feel frightened to death that she might be right. She is the expert, isn’t she? 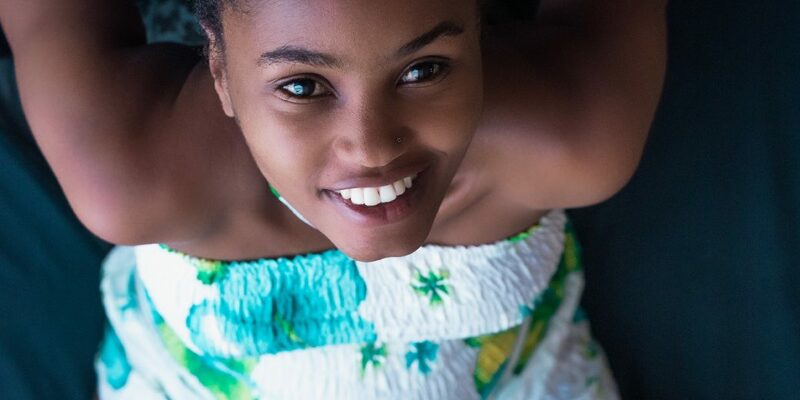 At this point, with terror dominating my experience I discover the work of Charlotte Kanyi whom I'd met recently at a baby signing class. I was inspired by how she birthed her two boys (three at the time of editing!) at home, the second without assistance as he came so fast and booked her Birth Confidence Package to unpick in depth what had gone wrong. She takes me on a deep dive and helps me to acknowledge and clear past experiences and welcome in new ones. I clear the all consuming fear, the trauma, and the underlying imprints and patterns that were actively preventing me from believing in myself and my body. 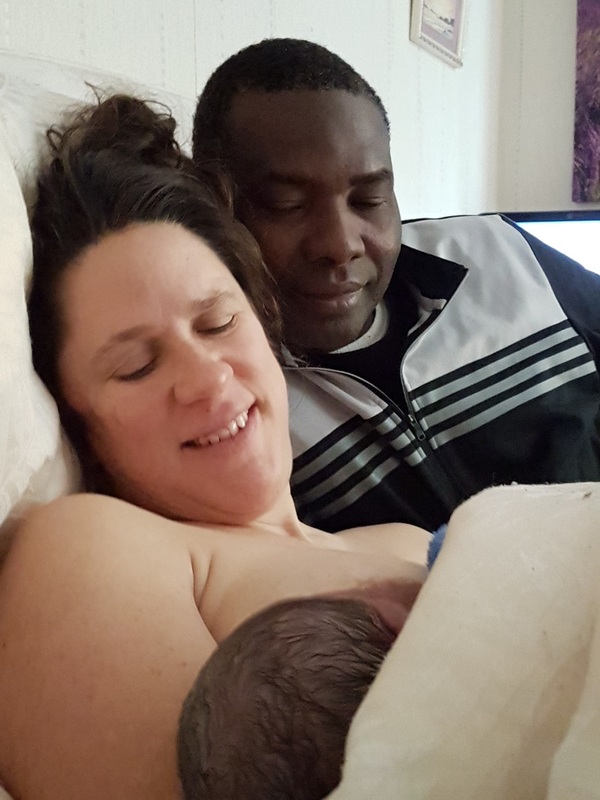 I change my care providers, my birth place and I hire a doula, Jane Jennings. She listens with skill and without judgment to mine and my husbands very differing viewpoints. It helps - we’ve been at loggerheads for weeks with no progress. He now feels heard, and we realise we both want the same thing fundamentally. On the advice of Charlotte and Jane, I surround myself with positive birth stories. I take up meditation. I read Ina May Gaskin. I eat healthily, borrow a birth pool, and arrange to go to the local midwife-led centre, Serenity, whose hands-off approach I am eternally grateful for. On Seren’s due date, the day I expected her least, I laboured at home in the pool with the sunlight streaming in through the sunflowers on the table. Jane turned my occipital posterior baby with a Rebozo shawl in under a minute. I felt Seren turn, I could suddenly walk more easily, and the contractions changed. There was a pause while I breastfed my two year old in the pool - she still refers to this with a big smile. Seren was keen to be born at home - I could feel her head before we embarked on the car journey to the midwife centre. I held her back till we got to Serenity and they filled a pool there. She was born seconds after I stepped in. The cord was wrapped twice around her neck, and was unhooked without drama. We were able to rest at Serenity before journeying home to be reunited with her sister, our now expanded family complete and feeling whole. Seren’s birth has left me feeling not only healed but empowered. I hear and trust my instincts so much more. I realise that the meditation, breathing and being in the now exercises I used during birth, are vital to me in the daily challenge of parenting a toddler and newborn. I have tools including The NPA Process which I can use whenever I feel out of sorts, blocked or frightened. I feel less scared of dying. Some part of me has understood and confronted a place of inner strength where birth and death happens. This was without question the most wonderful experience of my life and taught me precious life lessons. It makes me sad beyond words that this opportunity is becoming so hard to come by. As I reflect on why this is. I feel that our medical system is beyond wonderful when birth goes wrong, but it mostly runs on a model of intervention, and sometimes causes the emergencies it solves. I have seen so many women have similar experiences to me resulting in undermining of already fragile confidence; midwives measure bumps big, growth scans follow giving a “diagnosis” of a big baby. The seed of fear is sown, and often the woman is already well on her way to a Caesarean, believing she can’t possibly give birth to such a monster. Often there is much surprise when the enormous baby is born weighing a very average 7lb. Rather than encouragement and positivity at the moment she needs it most, a woman starts to encounter fear and an institution more concerned with covering its back than with helping her bring her baby into the world in the best possible way. “Safety” statistics don't even start to take into consideration effects on mother and baby, PND, delayed trauma, interrupted bonding, lack of transfer of beneficial bacteria and flora, and breastfeeding problems, caused by interfering with the process of birth. For myself I needed a lot of support and education to overcome the fear and trauma from the first time, and to reassure me that it was safe to ignore the “experts” without being a potential baby murderer. I put a lot of resources into birth preparation, to clear the trauma and the roots of the imprinting and patterns that had led to me experiencing a very disemowering birth where I felt out of control and ignored, isolated and not able to voice my own desires. I also hired a doula. The healing experience of my second child has transformed me in a deep and long lasting way and I wish that all women would take heart and inspiration from this story and find their own inner strength and joyful place. Zoe Challenor is a mother with many hats. She is also a workshop leader for Welsh National Opera, An Artist in Residence af Ark Schools, Founder and Director Of B'Opera Baby Opera which makes beautiful music for tiny ears. You can catch up with her on Facebook at Zoe Challenor singing and Alexander Technique and B'opera. 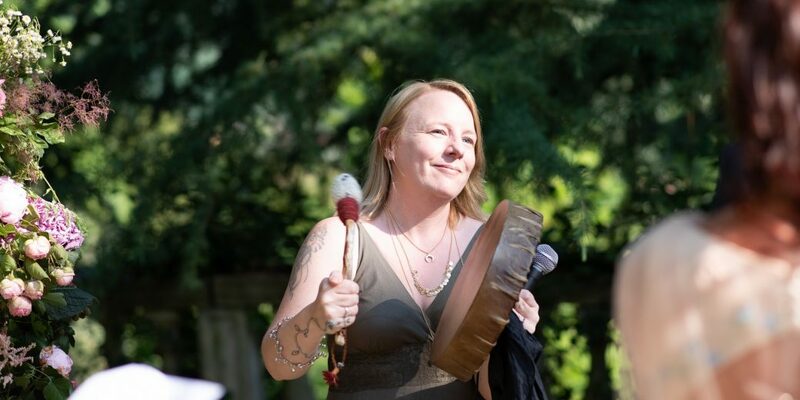 Continuing the Passion and Possibilities Interview Series with Awen Clement an independent civil celebrant and Pagan Priest who blends the traditional with the spiritual to celebrate life and death and all the milestones in between. 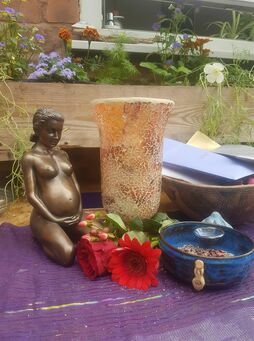 Awen grew up in a Pagan community that rites of passage including menarche were celebrated and which has influencd her journey into offering celebrancy to the world as she feels it is much needed. 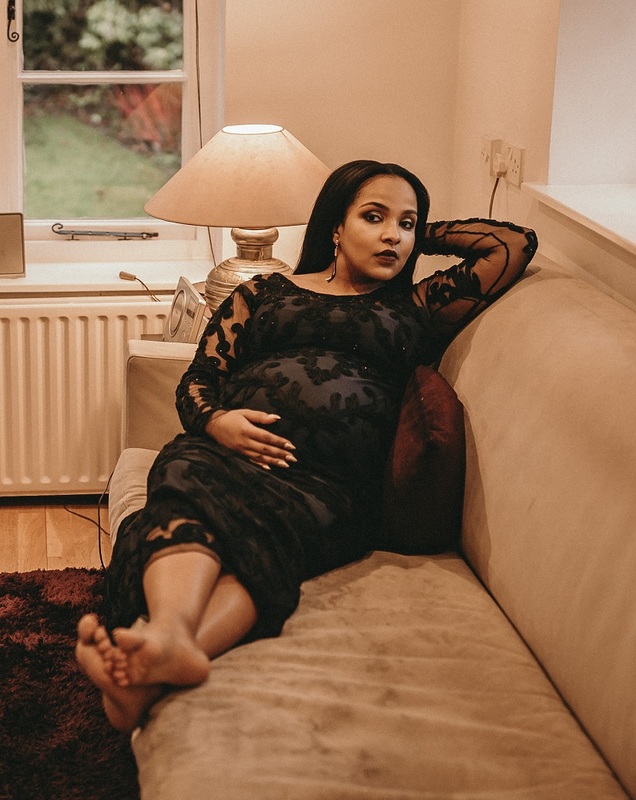 Despite her own supportive upbringing she still experienced a gap between her belief that birth is sacred and special and the reality when she became a mother for the first time and part of her work now is to fill that gap for other women. 4.12 How motherhood intrinsically changes you and yet the expectations are to return to normal life quickly and skate over the change. More fuss is made of baby than mum and there is a craving for connection that is not met. 7.12 Awens experience with her 4th and final baby and how she learned to give spae and time for herself, permission for herself. Noting how women often have a pattern of being able to look after others and tell others what is best and then being slow to do that for yourself. 14.25 Some specific ideas of what a mother blessing can include and how you may create your own. 19.34 How seemingly small acts of care can have big impacts. One ceremony such as mother blessing can ripple outwards each birth is an interconnected web that ripples outwards far beyond the immediate family. The positive impace of this loving attention just for being you with all done for you. 21.48 Creating memories for life. Give yourself permission to receive. 22.41 How activating activating your wishes and prayers with witnesses in a group enhances their impact. 23 A really passionate part of the discussion. We don’t know how birth is going to go and a mother blessing provides the space to hold the woman wherever she is in that without dismissing how she feels or diminishing her experience in any way. This gives her power. 24 Love love love- Love is the antidote to fear emotionally and biologically - oxytocin is what we want more of for birth to progress smoothly and adrenaline can impede or slow birth down. So create more oxytocin iducing situations more often. 26.55 The more kids we have the more help is needed and yet the inverse sometimes happens, at least in the acknowledgment of how special you and what you have done is. However it is new every time. 30.30 What Awen finds inspiring about birth is witnessing the transformation of a woman into a mother and her sense of I did it. The shift from I don’t know if I can do it to I did it! - with special emphasis on 'I' .it was me that did it no one else can do it for you. 35 It is ok to need help for that to be fun. This is the difference between a task being hard and horrible and it being difficult still not easy at all and yet incredibly rewarding. Separate hard from horrible. 37 Awen underlines the importance of our birth stories to us and urges you to avoid listening to the competition between women for who has the worst birth story and urges you to find and share positive stories instead. This shows also how important our birth stories are and the need for support in their telling. Do not tell a pregnant woman your horror story but seek help to have it heard and unpacked in an appropriate way. Unresolved trauma can be helped and supported and your story given a fresh meanging for you We crave for our stories to be heard. 43 Disscussing ceremonies from other cultures, including Mexico and Morrocco- Closing the Bones/post natal sealing ceremony. These ancient and healing traditions are now spreading back to the West where we lost many of our traditions and have a deep need and longing for this kind of work – a mother is wide open energetically for birth and needs to bring all that energy back into herself postnatally, physically and energetically. 57 Finally, listen inside to yourself beyond the extensive noise of our modern lifestyle. Allow that which is rising in you and come back to the place where you trust yourself as your own best witness and guide. 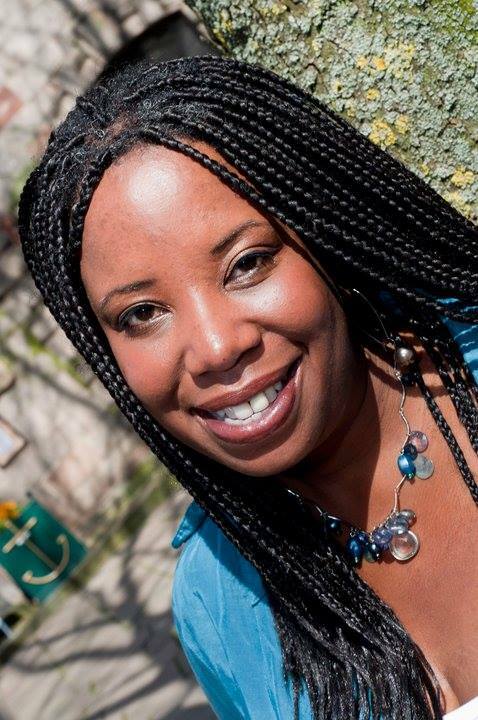 Continuing the Passion and Possibilities Interview Series with a wonderful interview with Lorna Philip who is a Doula based in Birmingham. 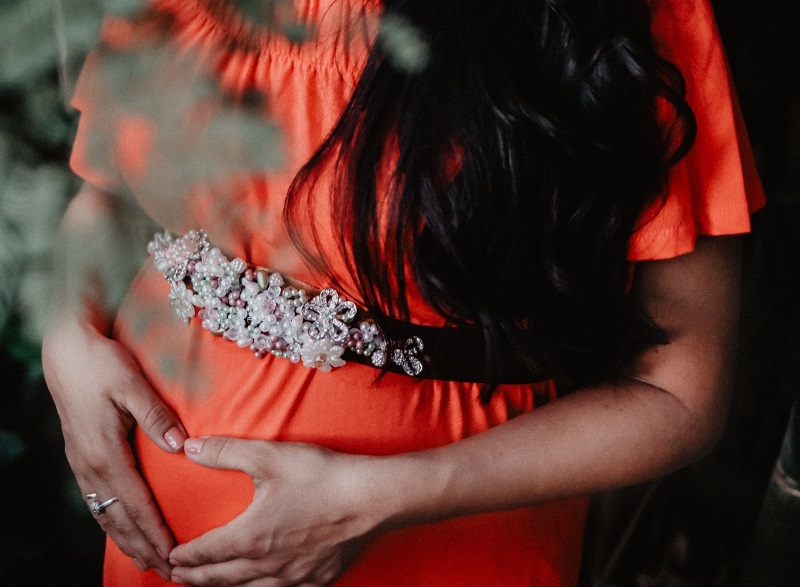 We discuss everything from what is a Doula and why you may choose to hire one, to how doulas can support you before during and after birth. Watch the video or listen to the audio only version below the video. If you are limited for time use the notes underneath to skip to what most interests you. 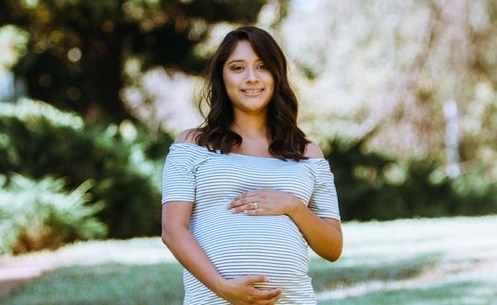 She supports all kinds of births and her heart particularly singswhen she supports women who are experiencing a VBAC ( vaginal birth after Caesaerean birth ) or who are creating positive births after a traumatic birth. 3.35 Defining a doula in a nutshell- a Doula is a lay person trained and experienced in birth offering practical and emotional care to the woman and her family. 6.00 We mention the research that shows benefits of a support person who is not a medic or a family member and discuss why- more objective and not emotionally tied to woman and situation. 7.28 why being a doula is not all about holding the babies cute though they are and what it is about instead. 8.55 Why it is not the mode of birth – vaginal versus caesarean for example that makes the birth special and the transition to motherhood smooth or traumatic. And how a doula supports a smoother transition to motherhood. 14.50 How to prepare for the postnatal period during pregnancy and tips to make sure you have enough support. 15.33 Dealing with resistance: I can’t afford a doula… Payment plans, gift vouchers and changing the mindset to give yourself what is priceless rather than pricey. 19.18 Who is a doula for- Hint if you are thinking its not for me its for x, y z, types of women you will be wrong. And Cando-Doulas supporting women with learning difficulties. For all nonlocal women there is likely other similar schemes in your area. If you would like a doula but don’t think you can afford one even with saving please ring a doula and ask what is available and what options exist in your area. 28.40 The blind spot that assumes there is a level playing field that fuels defensive reactions when confronted by any women asking for more ( respect , time, etc) and in particular women of colour. We also talk of the importance of understanding the defensive reaction and moving beyond it back to the heart and humanity. 30.46 Takeaway wisdom - You don’t have to birth like they do on one born every minute! - or any other film or any other person. 32.19 Takeaway wisdom 2. Use your voice to insist on help. You matter and your voice matters. Take some time to enquire what you truly want and need and ask for it. 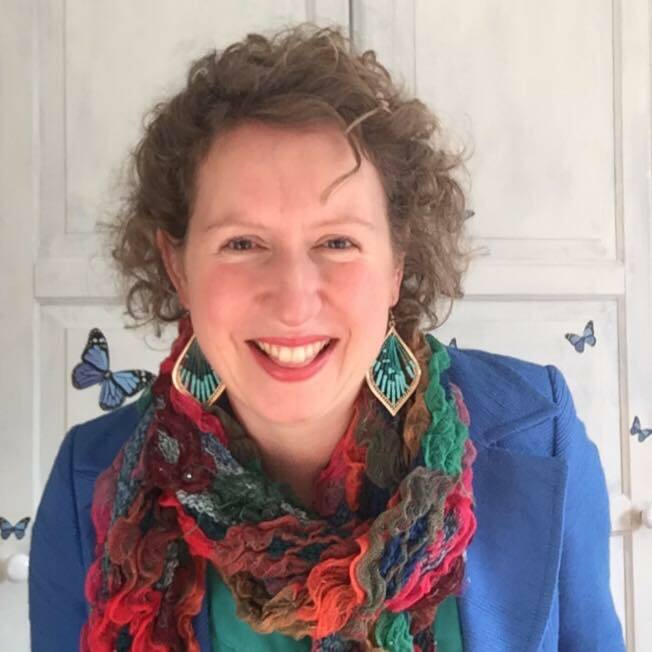 Find Lorna at Birmingham Doula where she offers Doula services including postnatal doula services, hypnobirthing and Mizan Therapy. 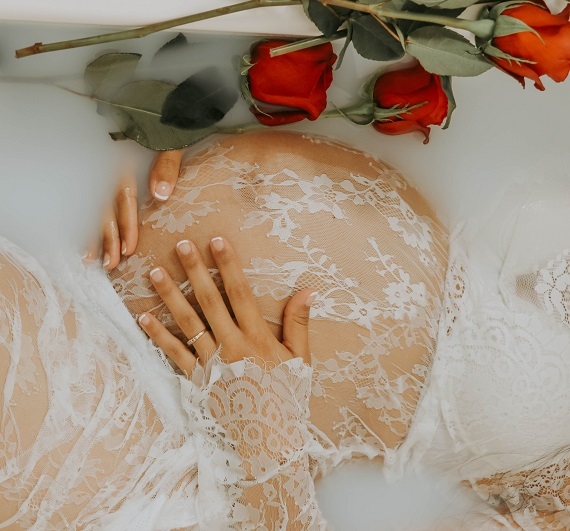 The Passion and Possibilities in Birth Interivew Series showcases the who's how's and why's of creating a community of support around you as you prepare and create your best birth experience. Intended to inspire you and open you to new and old ideas there are 11 different birth profesisonals sharing their passion and wisdom. We kick off here with experienced independent midwife Janie Al Alawi. Watch the video or listen to the audio only version below the video. If you are limited for time use the notes underneath to skip to what most interests. Janie Al Alawi discovered her passion for midwifery during a 4 week placement to the Jessop Hospital for Women during her nursing training that she completed in 1985. It was here she returned to become a 'Jessop girl' with 18 month training to become a midwife. She experienced labour ward and community midwifery before moving to Abu Dhabi in 1990 to the Corniche Hospital. 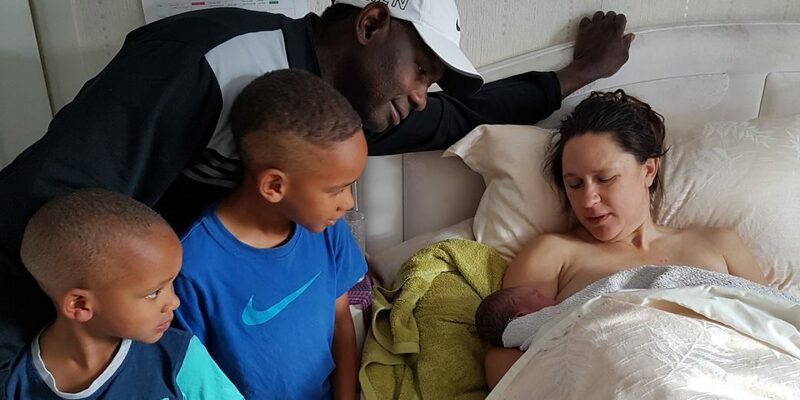 12 years, 4 different jobs including the busy delivery suite where 100,000 babies were born annually, Janie returned to the Uk to work as a community midwife. where she remained untili 2014. 2014 saw her creating acorn birth services as an independent midwife. 4.10 Janie describes why she loves midwifery so much -"Being a midwife for Janie is not a job it is something in you". 5.41 All about The Pinard. This is the long trumpet that you see my husband using to listen into my baby's heartbeat, under supervision of Janie. Janie explains why she loves this traditional tool and why it is still useful today even though we have hand held dopplers and technological aids to listen in. 6.40 The difference between working for the NHS and working indpendently. 9.32 All about choice and the mantra " guidelines not tramlines" when arranging your birth plan with your care providers. 10.30 Why you are the expert in your own birth. The importance of communication especially listening to the woman, the mother. REmember 'The customer is always right' is the mindset to cultivate. 12.44 Billy the dog. 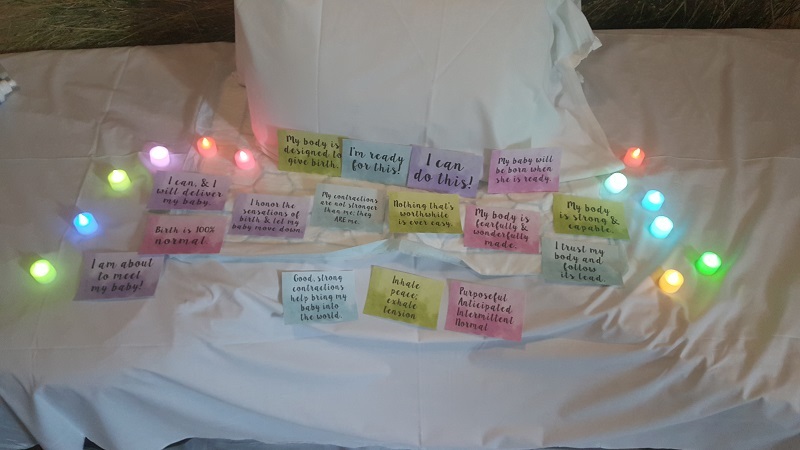 A midwife's faithful companioni. He remained off screen but present so here is a little picture of the bundle of mischief. 15.31 Why sweeps are the bane of Janie's life and her water slide analogy to help you understand and choose. 20.15 As a population we are healthier than ever so why are we having so many more problems? Discussing the need to trust women and their bodies, with a special mention of big babies as an example of how planting fears that weren't there can affect you. 23.30 What Janie would like to see women doing to prepare for the birth of their child- including slowing down in the third trimester particularly. How she sees 'wired babies' when the mother hasn't slowed down, babies reflecting their mothers state of being. 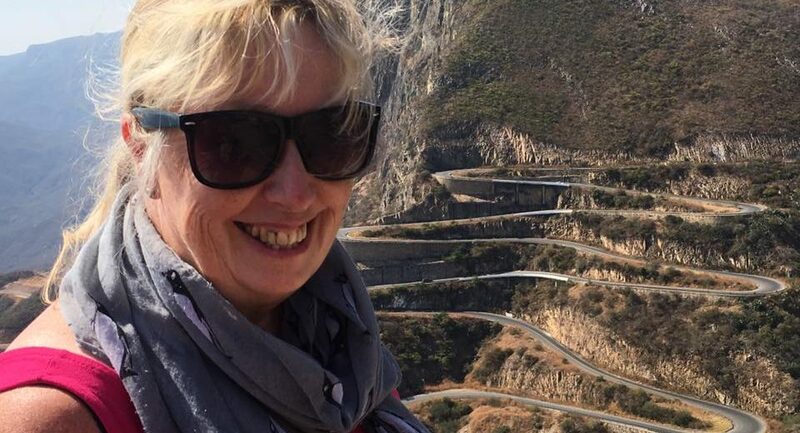 26.40 Janie shares some tales from her travels to other cultures including the Emiratesand Angola where she witnessed the elder traditional midwives working alongside her in the hospital and mothers being looked after round the clockin the postnatal period. 31.44 Discussing easy to implement tips and techniques to support baby into the best position inlabour including using the stairs and the racing start. 33.30 A saddening tale of how quickly traditional skills and home birth/active birth preference were lost in the Emirates as an overmedicalised model took over in this nation which today sees 50% c sectoins. On her first visit she used 1 epidural in 12 years and very low c-section rates so the change is astonishing and quick. Janies mission and passion (one of many!) is to bring back home birth to th Emirates. 40.27 How you speak to a woman in pregnancy and birth will stay with her for life- so be mindful. And a reminder that YOU are superwoman! 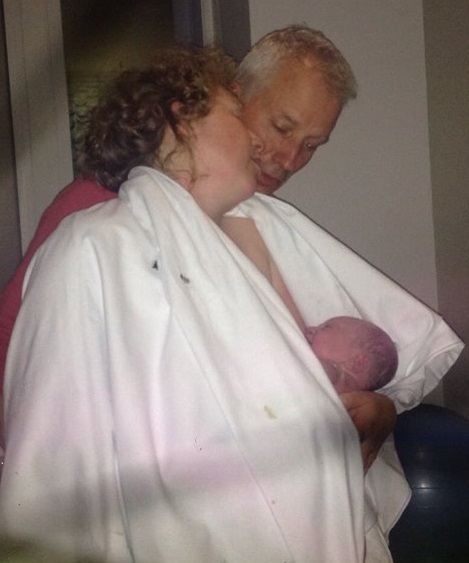 As Janie describes how she is still excited at every birth after 31 years as a midwife. 44 Mary Cronk Exclusive! Midwives on a mission of mercy. 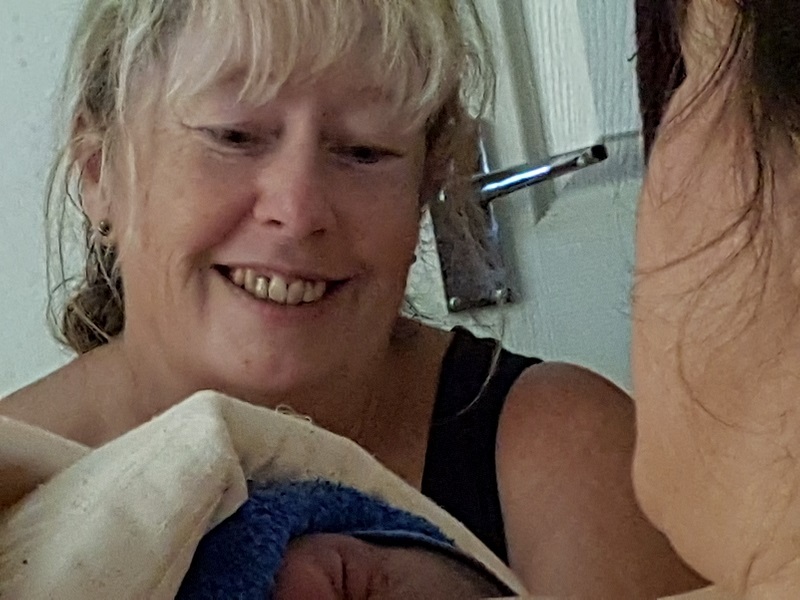 Janie shares a story from a trailblazing midwife who has done much to support women's choices in childbirth and to preserve skills such as birthing a breech baby. You can read about her legacy here . 46 Some women need some help with some labours, BUT this help is the last line not first line as women can do this and have been for 1000s of years. Final thought: Women are amazing, brilliant, and we are doing what are bodies are designed to do. Find Janie at Acorn Birth Services. Find a local independent midwife in the Uk here. The Whos, Hows and Whys of creating a community of support around you as you create your best birth experience. Back when I was first pregnant I was a fairly typical first time mother to be; anxious and excited in equal meassures yet simultaneiously overwhelmed with all the changes to my body and new information to absorb. I did pretty well, discovering hypnobirthing, and pregnancy yoga and utilising my skills as a therpaist to release fears and old cellular memories. Still with the wisdom of hindsight I thought it could have been so much easier if I had known more what to even look for and include as self care and birth prepraration. Time is precious and I wasted plenty of it on fruitless, frustrating searches in googleland. In a bid to help you avoid wasting those hours, I have gathered together 11 different birth professionals to chat and share their wisdom. It is my hope that you will feel inspired and confident to ask for what you need to create your best birth experience. I hope that listening to these passionate voices you will find your own voice and joy as you become a mother. I didn’t know I could say no! How to stand your ground to get the birth you want. "I didn’t know I could say no," she exclaimed, turning her surprised face towards me. I can see the cogs literally whirring as she applies this new knowledge to her situation, as the possibility for a different way forward opens up. I smile encouragingly, my own cogs working overtime as my mind is flooded with all that I desperately want her to know to ensure her birth goes as she dreams of… Where to even start? I want her to know that her right to say no is enshrined in human rights law. I want her to know that these human rights apply equally to her in pregnancy and birth just as they do at any other time. I want her to know that these include the right to decline any treatment for any reason or even no reason at all. I want her to know not to go in blindly trusting an overstretched system that is not women centred at its core, but to go in eyes wide open and ask for what she needs, expecting it to be given. I want her to be aware of the limitations of this system with its overworked and understaffed workforce in supporting her so she is empowered to ask for more for herself. I want her to know doctor doesn’t know best, she does. I want her to know she has choices, more choices than she has been given so far. I want her to know she is not just a passive passenger in this birth, an object of interest for obstetrician to tick off in their file but is the active agent. I want her to know to ask for more information, with facts and evidence, to be able to make her choice and to expect this to be given with respect and dignity. I want her to know she can request a new midwife, a different consultant, change hospital – whatever it takes until she is heard and respected. I want her to know she deserves to raise the bar on her expectations for this birth and her treatment way, way higher. I want her to know there is another world possible for her. A world where her birth isn’t all about managing risks, counting stages, measuring and charts. I want her to know this world has her at the centre of her birth experience and that it is her opinions, desires and wishes that matter here. I want her to know this is an everyday magical world where she, her baby and body will dance the birth dance in an organic flow of pulsing energy- maybe it is intense, maybe difficult at times but it is her dance no one elses. I want her to know there is another version of her waiting on the other side. A strong, proud and confident woman and mother born with her baby. I want her to know she is holding out her hand to invite her across the threshold and hold her hand throughout. I want her to know to trust herself as the only real expert in her own birth, the only one who can really decide what’s best in each moment. I want her to know and value her instincts that were telling her to say no and to have the courage to stand her ground. I want her to know that when she really shows up and claims this space for herself in this way then she will see those supporting her change to reflect her newfound strength and conviction. I want her to know there are people here who care and have her back. I want so much for her. I can feel the fire rising in me, burning through my silence and hesitation. I want this fire to touch her, to warm her heart so she knows she is loved and supported. I want this fire to light the fire in her own belly so she finds her courage to speak her deep desires. I want this fire to fan the flames of her own passion so she rises up to claim her desires. I want this fire to ignite her own passion for herself and her birth so she can make it happen her way. I want this fire to blaze a trail for us all to follow as we collectively transform the face of birth and the path to motherhood. The fire is pulsing in my heart and flames flicker through my words as I repeat with as much emphasis and love as I can muster ..
That day we did chat a little more and I know she has since given birth as she wished to a wonderful baby boy. This post today is dedicated to her and to all the women who didn’t or don’t know they can say no. For all the women who are hearing their soul whisper to them that they deserve more and better. I hear your whispers too. I see you. Along with the passion and fire it’s good to get practical. Below is the grounded practical resource list you can draw on when you need to make a stand for what you believe in for your birth. 1 Knowing where you stand. You don’t stop being a human being just because you are pregnant. You and your unborn child are not the property of the NHS. All your basic human rights apply in pregnancy and childbirth too. Along with dignity and respect you should be able to exercise your right to informed consent. Meaning that you cannot be made to do anything you don’t want to do and that you should be provided with all the information you need to make your own choice. The human rights in childbirth charity - Birthrights -founded by Rebecca Schiller produce a number of excellent fact sheets. These include Human rights in maternity care, consenting to treatment, choice of place of birth, right to a c section, accessing your records and making a complaint. I recommend the Aims booklet ‘ Am I allowed' By Beverley a Lawrence Beech, which gives in detail all the information you need to make an informed decision. Aims stands for Association for improvement of maternity services and this and other booklets that go into great depth on specific subjects can be bought direct from the Aims website. 2 Getting the information you need. Now you know you have the right to dignity, respect and informed consent you might be forgiven for thinking this will all just be handed to you effortlessly at every step of your pregnancy and birth. Sadly this is not the case or I would not be writing this post. Benefits: What are the benefits of X (the procedure that has just been offered to you) You may ask- How will this help me? What problem will it solve? You can also ask what undergoing this treatment option means for you – how is it carried out, how long will it take what else is involved? Also a missing piece here is to check in with absolute versus relative risks. In other words there is a big difference between a risk that doubles if the original risk is 25% or 0.1% Finding this out can really put risk into perspective. A consultant is used to seeing difficult births and is likely to stress the risks of not doing a procedure they recommend. By asking more questions you can get the information you need and a fuller picture to choose what is best for you. Alternatives: What else is possible? What other options do I have? Remember to go through brain again with each alternative. This part can really open you up to the choice that is so often present and that you may have been unaware of. Smile: It can be very stressful trying to make decisions in a pregnancy that has taken an unexpected turn. We may be tense and worried about what may happen and concerned about making the right decision. Try consciously shaking out your body and stretching. Sit tall and smile- even if you don’t feel like it at first. The physical movement in your face fires off neurons and chemicals flow- a message of positivity is being sent through your body. This will be ok. I am ok. I can do this. On the spot under the gaze of your consultant or midwife you may feel pressured to make an instant decision. There is usually more time than you think even if you are in labour. It is important to ask and check so you can create some space and time for you to make the right choice from the right feeling place for you. Thank you for all your information I /We would like to go away and think about it to make our decision. How much time do I have to make my choice? Can I have ten minutes, half an hour? Even if the decision is a no brainer, but it may not be the route you had hoped it can still be worth asking for a few minutes so you can come to terms with the change of plan emotionally and energetically. So that when you choose your next step you do so with calm strength dignity, and love. Give yourself as much space and time as you can for each decision to feel good. Remember- You are the mother, the one at the centre of this amazing birth experience and you deserve for your wishes to be heard and respected. 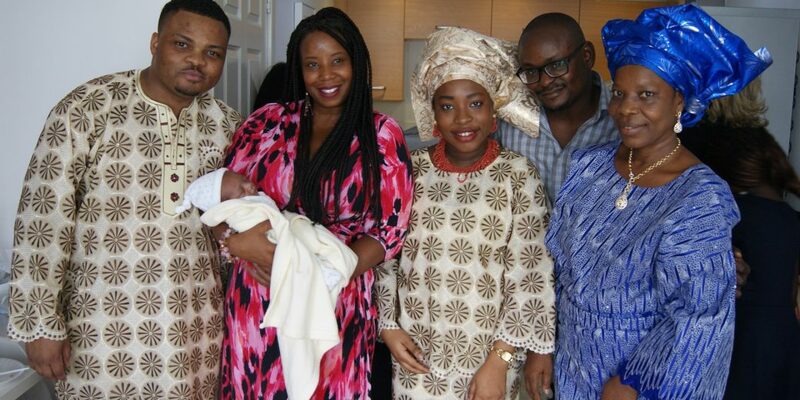 A Morning of surprises: The birth story of Musa. My youngest boy with his wit, his clear direct communication, and outrageous laughter, surprises me every day. Perhaps this should be no surprise to me, given his birth story which was full of surprise. Here is the story in full for you to enjoy. I had the happiest, most relaxed pregnancy of all three. Antenatal appointments were a joy. All my wishes were heard and supported, my questions answered fully. It was all such fun, relaxing in the warm summer sunshine, connecting with my baby and imagining the calm cosy corner of my bedroom, lit only by candles, labour starting in the night whilst others were asleep, my husband joining me first in an atmosphere or quiet sacredness to be joined by my awestruck children and midwife. HA. I imagine his cheeky grin in the womb as he considered my ideas then went about things his own way. He was on board with the general energy of my vision but not so much the finer (imagined) details. Surprise number one was the timing. I woke in the early hours of the night with contractions. Knowing I wasn’t in full labour I slept on between the sporadic but insistent tightenings. However, in the morning a question formed as I shuffled my way through breakfast and getting my two older children ready for school. Will this be a super long labour then because it’s a long time until dark comes back…? As my kids disappeared off to school with my husband I knew different but wasn’t ready to admit it just then. I felt excited and curious. I think my son was trying to tell me ‘wake up mum, I’m coming now, in the day and sunshine.’ My head was trying to fit this into the dark night time, cosy corner image and largely failing. My minds habit of trying to work things out, to pin everything down was thwarted by the growing energy of labour. I was fading from this rational ordered world and entering the fluid organic energy of birth where the ordinary timing no longer made sense.. I threw back the covers and strode, slightly agitated. to the toilet. I had hoped to reexperience the comfort and total pain relief I had from his touch during the birth of my first child… I should know better of course than to try and recreate the past rather than live in the moment. The toilet was just the job. The toilet was fun. I could hear my mind thinking this is kind of crazy but it felt right. Labouring in our small bathroom I could hold onto the sink with one hand and the bath with the other and focus all my attention on relaxing my body through the now powerful contractions with gentle sighs. Using the sink and bath as counter pressure and letting the instinctive loosening and letting go of being on the toilet happen, really worked for me. Still my mind kept popping in with the suggestion that lying down for a bit would take less effort and be even more restful. Cue what felt like hours, but was probably like fifteen minutes or even less, (time was totally kooky by now.) of me trying to leave the bathroom. I would get half way down the approximately 5 metre corridor to our bedroom only to go, ‘oh here comes another one’ and to turn round and sit back on the toilet where I felt most comfortable and drawn despite myself. It was as if my feet and body had a mind and consciousness of their own. Frustrating until I got the message and gave up and succumbed to the toilet position. During one of these contractions I found myself gazing at the bath. Yes, I though,t lets try that. A part of me really did want to lie down just not in the bed. I ran the bath and got in and yes this was good. Warm, cosy, and safe. I felt light and free, peaceful here. My husband at this point called my midwife, for him he said even if I didn’t want her yet. Though I think he knew it was time even if I wasn’t admitting it still. I was too busy enjoying the water and noticing with interest that I could feel every muscle as it moved inside my body. I breathed and floated and felt my side muscles pulling my cervix up and away. The contractions were strong, powerful and purposeful. (just like my son is now) I was home and relaxed and still slightly in denial that it was day time. My midwife came, smiling at me she listened silently to my contractions. I felt a change. I felt the end of the contraction change. It went from an outward, expanding pull up of the muscles to a slight bearing down and tucking of my tummy on the very last second of my outbreath. My verbal answer as far as I can remember was to say I want to get out of the bath now. I need the toilet. I needed it because I was ready to push. I now realised I was pretty much going to do it all on the toilet, a place I had hardly visited with the other two except for its actual intended use. 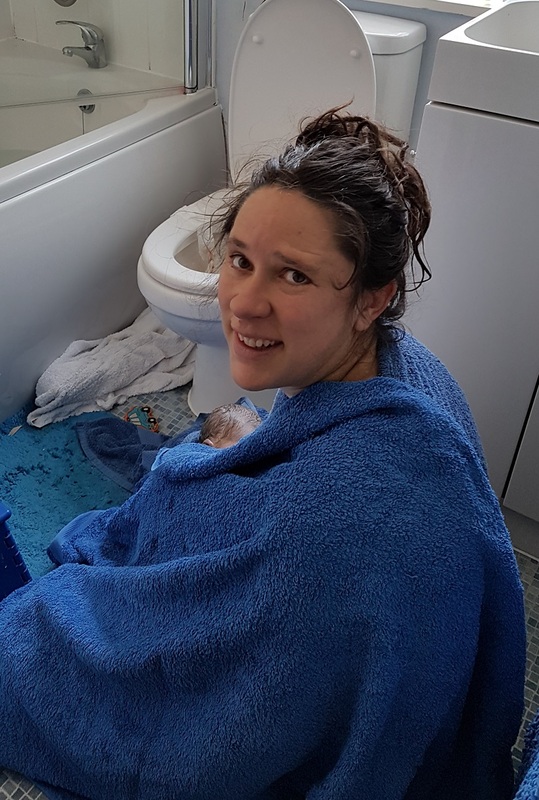 I sat on the toilet and roared my way through my contractions, surprised by the location I found myself comfortable in, surprised by the volume and pitch of my voice and surprised by the sheer power running through my body. My body responded to this energy. It shuddered, and shook. I hardly knew who or where I was, all that was real was this raw, untamed energy rising and falling within me, coming and going from deep inside, or from some place else. A place known and not known, strange and new yet familiar. A place of pure wordless experience. I knew not if I was it or it was me. I opened up and allowed it in, and through and on. I felt the energy bearing down, pushing my baby down. It thundered. Then it would disappear for a short eternity. To return with even greater intensity. Excitement was growing. I couldn’t have controlled this even if I wanted to but in trust of my body and the process I surrendered totally focused only on relaxing, particularly as I felt so much strong pressure in my bottom, more than ever before. I was astonished by myself in a kind of excited way. Emotions rolled through me. I cried weeping and whimpering like a small child. I allowed myself to do this even as my mind wondered at this oddness. I wanted to laugh too. To throw back my head and howl. And I know I roared at the height of each contraction. Once my husband tried to touch me to massage me or comfort me and I pushed him away. My midwife understood my needs and gently patted the floor beside her. ‘Come and sit with me.’ She smiled calmly and reassuringly. They sat at arm’s length from me just outside the bathroom smiling their love and encouragement towards me. I loved that they were there, just enjoying with me. My midwife I could tell was happy and in her element. My midwife gently wondered if it might be time to get off the toilet. I agreed and knelt in front of it instead. Resting my forearms on a stool I was able to drop my head and relax in a new position. The pressure on my bottom was incredible. The contractions were the strongest I had ever felt. My baby felt powerful, a larger than life purposeful presence, yet kind and sweet too. I felt more emotions coming through. Anger was one. My mind was a little bit in judgment of this as not the correct emotion to be feeling at such a wonderful time. Rather than argue with my mind and try and explain that this judgment is just a story that doesn’t make the anger go away , or try to work out what it meant, I took the anger through a quick NPA process. The anger passed. Impatience came. In an intense moment I shouted out ‘ I want this baby out now’ whilst simultaneously instructing my body to remain relaxed, to have patience. I didn’t add any conscious pushing on top of the work my body was aready doing, though I was tempted at times. My impatience was tempered by my desire to allow him to come in his own time, with the flow of energy. He and my body responded to my call of ‘NOW please.’ I felt the most amazing sensation of opening in one big flow around his head. I sat upright and held his head as he slipped smoothly out in one go as all of my children have. I was overjoyed, I had done it! This moment of opening and him flowing through was just the biggest thrill. I can’t really do justice to the sensations with any words. I just opened up effortlessly like magic. My midwife commented too that she saw this happen. It was totally amazing to feel. I sat back laughing, as my husband and midwife wrapped me in our best towels warmed by the radiator. A quick peek and a knowing grin exchanged with my midwife- A boy! My 4th or is it 5h or even 6th surprise was a messy one that I was ill prepared for. My other two showed no signs of meconium for a full 24 hours after birth, whereas he came out pooing and popped out more poo every time there was a quiet or clean moment for a few hours to come! I wanted to move to my bed to rest. We must have been a merry little procession, me the tiger mother holding tightly to her new baby, my husband supporting me, my midwife holding the bowl in case the placenta made an appearance as we trotted down our narrow little corridor to the bed. This time the bed was bliss. Warm, cosy and filled with morning light. I love my bedroom. When the sun shines it reflects off a throw with sequins on and makes glitter sparkles all over the ceiling and walls. I felt so happy as I laid back and let everyone look after me. My midwife cleaned up the bathroom –I rested and gazed at his puffy newborn eyes, his soft movements of hands and legs grasping at me, as he made cute suckling noises. He fed and slept as we all continued to enjoy his presence. After an hour or two I felt I might stand up to see if the placenta wanted to come. In another surprise the placenta wanted me back on the toilet- maybe it didn’t want to be left out of the bathroom party. So off our merry little procession went in reverse. Husband supporting the mother carrying the child. Midwife bringing up the rear with the bowl, supporting us all. I sat on the toilet and they left me and baby alone for a while. I didn’t actually need the toilet. Instead out of nowhere came an enormous roar and another shuddering, shaking contraction of the same intensity I had experienced giving birth. I didn’t expect that. I could not have controlled or suppressed this if I had wanted to. Whoosh out came my placenta, almost an anti-climax after the energy of the contraction. It slithered, easily out, landed on the toilet rim, even though I had anticipated its arrival and stood up, teetered for a moment and yes you guessed it- plop into the (luckily clean) toilet! My midwife came to the rescue again. She hauled the placenta with both hands round the cord back over the rim into its rightful new home of my baking bowl. I was extremely impressed at the strength of my cord and size of my placenta. Back we all went to the bed for the final time where I made us comfortable and my husband finally got to cut the cord. I arranged the limp white and surprisingly small cord in a spiral on his stomach, and entrusted the placenta to the care of my friend who had come to make me smoothies. There ends the main story but not the joy. Revelling in my newest baby boy and all his surprises, my heart full, my body spent yet still buzzing with energy I drank in the love of my family and my home. These first few hours meeting a newborn baby are something quite sacred and special and lying in my luxurious bed in the quiet peace, my son draped contentedly over my belly and chest I felt more alive, loved and at home than ever. 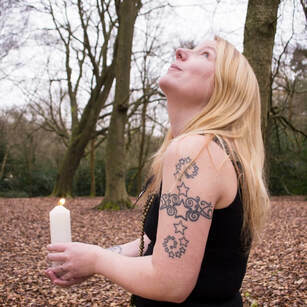 See my Birth Confidence page for in formation on my practice for clearing fears. My independent midwife, Janie Al Alawi, can be found here along with nformation about her services. For information about The NPA Process and a free Process sheet click here. Its a superb way to stay in flow and let things pass through. Since my first post a couple of weeks ago on overwhelm it seems that every other person I meet is going through their own version of meeting overwhelm in their lives. Whether they are blaming it on the recent mercury retrograde or Christmas on top of an over full schedule, there seems to be a theme. Too much to do in too little time and a sense of you drowning in the onslaught. I’ve also been asked a number of times how I manage to stay afloat, how I manage with my three children and a business and all that I do. Truthfully, everything has stepped up a gear now that I have three children and sometimes I feel my head is only just above water. Pregnancy is also a game changer that can cause everything to seem more intense and challenging. But what has changed for me is that I am now enjoying the swimming. Today I am sharing 5 steps to support you move out of overwhelm. Steps I have been taking over and over since becoming a mother. Steps that you can use with other repeating patterns you may notice in your life that you would like to change. Steps that work in an emergency breakdown situation such as I described in my last post and are also useful as longer term preventative and transformative medicine. 1. Catch yourself and Stop. So let’s say this talk of overwhelm is striking a chord in you. Your daily duties, however small seem to loom large and impossible over you. And you have less energy than before because you are growing a baby, remember? Tears are bubbling under the surface, beneath which a simmering cauldron of emotions looking for a way out threatens to boil over willy nillly at the slightest trigger. Awareness in this kind of situation is key and usually at least half the battle. If you are running in ‘overwhelm mode’ then you are invariably either thinking or doing too much. Or both. 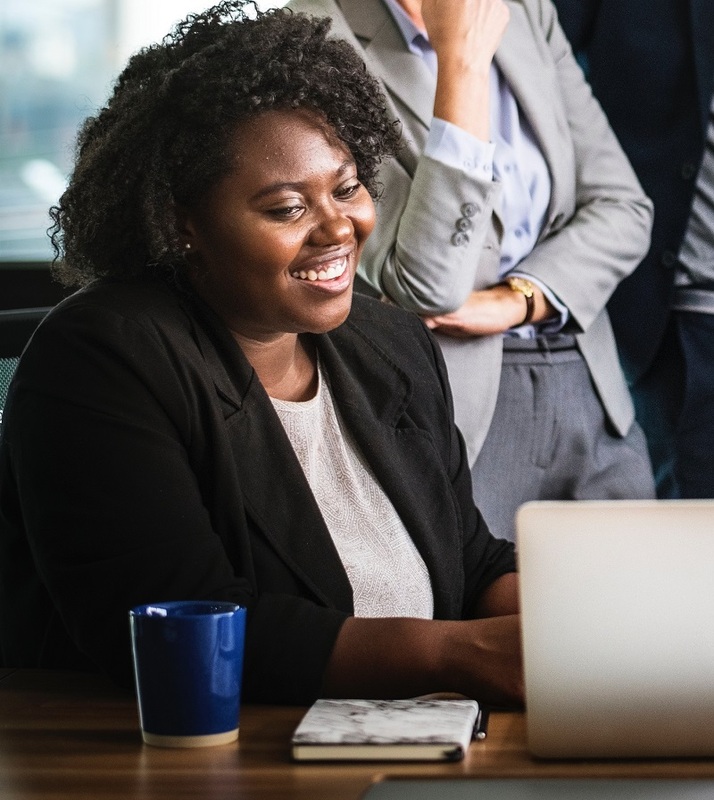 You are likely guilty of carrying the larger than necessary ‘mental load’ that women tend to carry- planning and managing the whole family’s needs whilst simultaneously undertaking more than your fair share of the actual workload. This pattern is so normalised that it often slips under the radar but can be a significant contributing factor in overwhelm and burn out. Once you see your patterns you have a choice. Change becomes possible. Catching yourself is pretty straight forwards to understand if tricky to do but what do I mean by stop? Well I do mean just that. Perhaps you need to literally stop, sit down, take a break and breathe deeply. Even for five minutes. When you need to be active again consciously relax the parts of the body you are not using and be relaxed in motion. How exactly you continue to stop depends partly on your individual path and relationship with overwhelm. Emotions may come up. Let them. And this is where you can move on to step 2. My invitation is to get cosy with a cuppa, sit back and ask yourself how you are really. let yourself cry if that’s what’s here. Treat yourself the way you would your best friend or small child who was struggling. Show yourself the kindness and love you would them. ( See step 3 for more on kindness) Listen and mentally give yourself a hug. Validate yourself and your experience this way. Make this a regular check in ritual for yourself over medium and long term and make sure you schedule it into your regular schedule. You may hit up against a good dose of denial or resistance when you try to stop and be kind to you in this way. Objections like who else will do it if I don’t or I don’t have time for this now…Don’t let these get in your way. Listen genuinely–and then go deeper. Behind or under this resistance is usually fear. Your old cherished identity is being threatened by the changes you are proposing. It wants to keep you safe, even if that safety comes at the cost of rest and self-care. Under observation its logic often makes no sense at all, hence the complete sense in taking a little time with yourself to enquire where you are at and what you want and need right now. The kindness mantra ‘Be kind to you’ was taught to me by Joel Young, the Creator and Custodian of NPA. The benchmark to test your decisions against is to ask ‘is this kind to me?’ You are worth the kindness and time you give to others. Already just catching yourself and resolving to stop is huge. Massive. Ginormous. Give yourself some credit for this already and follow it up with cutting yourself some slack with kindness. In the process of change please be super kind to yourself. Changing your relationship to the world and yourself gives your cherished identity a big shake up. Not always easy, so go easy on yourself. I think I am stressing this point a little extra due to my own history of being anything but kind to myself in complete contrast to how I treated others in my life. Extending patience, compassion and understanding to myself has been transforming in how I feel on a daily basis and how I manage with my three young children. Just to be clear if the judger rears her head with commentary on you about being overwhelmed and not coping when your sister/mother/ next door neighbour did or so and so has more on their plate but they are doing ok.
No, that kind of comparison is a way heaping more weight on your overburdened load. Telling yourself to pull yourself together, that you are being ridiculous, hold it in and rest later. Honestly if it is unkind to you stop. If things fall apart because you stop and rest then that is a serious confirmation you were doing too much alone. As I mentioned earlier, awareness is key and once you’ve let the big emotions out, released the immediate tension from your body and jumped off the routine treadmill, now the next level of awareness becomes available and it is time to take action. It may be all you need to do is tweak your schedule, or it may need a rewrite with you at the heart and on every page. 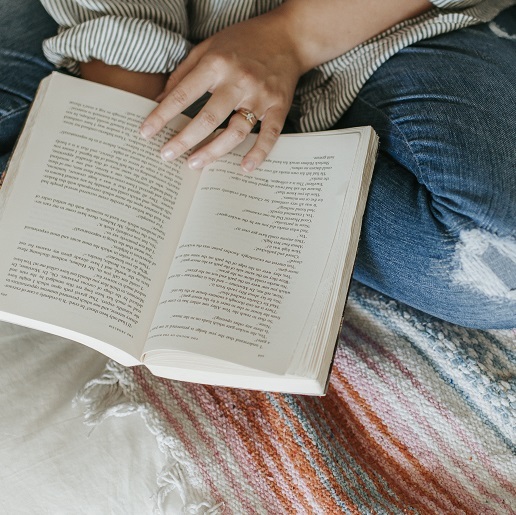 You may choose to book a massage, go out for dinner with friends, or schedule evenings curled on the sofa with a good book. Perhaps the action you take is a pruning of any more actual doing activities because you need deep rest and some long periods of doing very little. When you have been overactive doing nothing is a positive proactive and sometimes incredibly tough next step. Yet, sometimes the kindest action you can take may be to schedule doing nothing at all. Remember the action you ultimately take to support you will always tick the box of being kind to you. If it doesn’t pass the test- bin it. Whatever you choose it will not add more to the burden you have been carrying. You just put that down. The invitation here is not take a night off to tick a box and then next morning pick up the old burden. If necessary, unpack that burden with some inner work to be free of limiting beliefs about why you don’t deserve to rest or why it has to be you doing all the work. Then see what is yours to pick up at the end. It will be lighter. You may need practical support which brings me to next step. If in the previous steps you really see you have too much on and there are important needs you have that are currently not being met like resting, then do ask for help and do delegate tasks. Try writing a list of everything you do. Then consider who could I ask to help? To whom can I delegate? What can be done later or not at all? If this feels too much then get help with this too. Seriously. I see far too many women (me included) struggling to go it all alone when we thrive on cooperation and company. If you felt drawn to needing inner work in step 2, consider whether you will work though this more swiftlly and easily - a kindness to busy you - with some professional support such as I offer in my birth confidence sessions. Be open to new and novel ways to do things and be supported. Ask around for ideas and inspiration. Finally, I would like to say let this be fun. Even if moving out of overwhelm is uncomfortable look for ways to make it fun. Breathe some lightness and laughter into your day. This is perhaps the best medicine of all. I invite you to take at least one of these steps and try it out this week. See what happens. Do drop me a line I would love to hear your experiences. 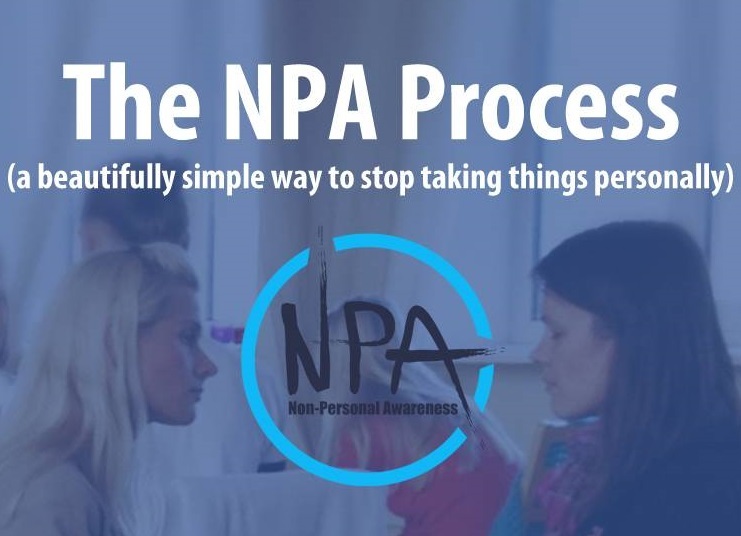 If you would like to learn more about how to be kind to yourself using The NPA Process please follow this affiliate link to download you FREE copy of the process. It’s not just the computer! Finding relief from overwhelm with NPA. I stare at the computer screen biting back the tears. Telling myself to hold it together, that maybe it will work this time…. But No. My plugins won’t update and until they do I can’t write anything on my website. The dam bursts and I can’t hold it in anymore. I am gulping with enormous sobs as I break down completely. I have been trying fruitlessly for two hours to update my plugins. The ‘idiots guide’ my brother created for me is not idiot enough for me I think despairingly. I am trying to cry and not wake the baby at the same time, I sound like a strangled pig and even if I don’t wake him I have 15 minutes left until the school run anyway. My brother comes to the rescue and fixes what took me two hours to fail at in about ten minutes. His kindness overwhelms me further. My heart is breaking. My mind is in overdrive telling me how I’ve wasted this precious time. The precious time I have precious little of these days. A blip like this derails my whole schedule. I must look crazy from the outside I think, getting this upset over such a small detail that is now fixed. I try to reassure myself that it will be ok. Tomorrow is another day. But the less kind inner critic is having a field day. Perhaps she hopes to solve my problems by demoralizing me further but it just adds to the overwhelm bearing down on me from all sides. Right now, in the thick of it the pain is all consuming. Acute and raw. I cry and I cry. I can’t do anything else but cry. And this is how it is. A small seemingly trivial event that has even been resolved has the power to tip me over the edge into despair. A pit from which I can see no solutions only hardship. A dark place of sadness where I secretly believe myself to be completely useless and no good to anyone. The way I am feeling bears no resemblance to the size of the fairly ordinary event. I feel trapped. No way out, nothing I can do, panicking as time ticking loudly and ominously away reminding me of all I’ve not done yet. Except there is one thing I can do. One thing I know to do. The NPA Process. I say the words and I sit allowing my experience of the energy of overwhelm to unfold with the gentle support of the NPA energy. Relief floods my body. “It’s not just the computer” I say out loud and I start laughing. In a nice way. 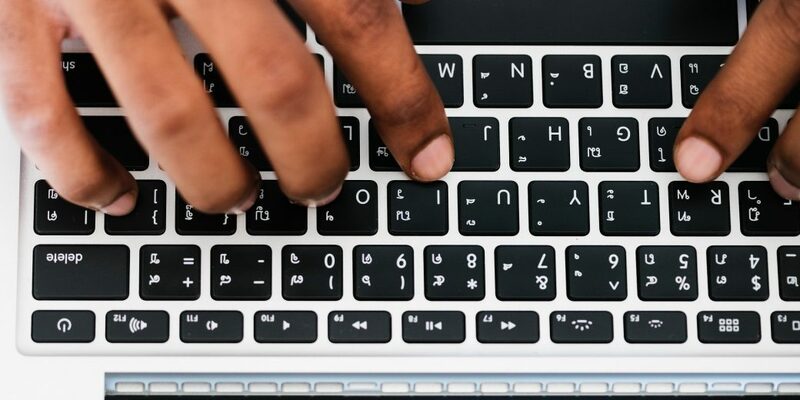 Somehow the simple statement that it is not just the computer that is causing me to feel overwhelm has the power to unlock the whole thing. I feel the tension and stress flowing out of me. I see myself at the centre of a misty landscape surrounded by all the important people and jobs in my life. I can clearly see how much I have going on and why I have ended up in such a state of overwhelm. Anyone would. It is not because I am more useless than anyone else. It is because I have so much going on and I fell into the trap of pushing relentlessly to get it all done. Telling myself it had to be now and this way caused me to feel like the world was ending when life had other ideas. Too much self induced pressure. Rigidity. As I continued to watch space began to open up around me. The events had space around them and from me. I could breathe again and felt myself relax. Somehow this simple process has caused me to see I am overwhelmed and I am still ok. I sit some more. Witnessing the experience. Then it is gone. Just like that. I am no longer overwhelmed. ​I have just as much to do and no idea how I will make it work but it no longer has the power to crush me. I am OK, I know everything is going to be ok and its time to pick my kids up. So I gather up my son, dirty nappy no shoes and all and leave overwhelm behind. I let the relief carry me up the hill instead. I feel free, clean, empty. Even though my son yanks my hair hard and continuously yelling goal each time I am ok, Tomorrow really is another day and for today I am ok. This is the simple power of NPA. So what does this story have to do with pregnancy and preparing for birth? Well the last time and on a few occasions previously that I got to this point of overwhelm, where the slightest issue could trigger a complete break down, I was pregnant. Now you are pregnant you have just added a whole new level of activity to your daily life, that goes on under the surface 24/7. As it carries on without your conscious input it is easy to be slightly less than conscious with how we treat our hard working bodies. We keep going. We push our bodies and our selves to keep going at the same pace we did before we were pregnant. We try to be superwoman. But creating a new human being takes some serious energy expenditure and as with our financial budgets what goes out has to be balanced with what comes in. When we don’t do that, when we don’t take extra time and space for self care, overwhelm and exhaustion are soon to be found tagging along at our heels. When we are pregnant we are different in other ways too. More emotional. More vulnerable. More intuitive. These are all qualities that enrich our connection in pregnancy and support us to grow our baby. And they are all the qualities that are not particularly valued in a world that prioritises the masculine experience. A paradigm that expects constant output in a steady rhythm regardless. A paradigm that does not take account of our fluctuating rhythms. That shames our emotionality and vulnerability. That does not understand intuitive knowing and prefers scientific facts that can be measured. So we succumb to the status quo and to the ancient, unconscious conditioning that our lives run on. We accept the pressure to keep going and not complain. We hold it together like we have been doing for centuries. Too often we leave ourselves and our needs to last or even out of the equation altogether. Until we reach breaking point as I did at the computer. My question to you is do you recognise yourself in my story? Do any parts of it hit you on some level? Perhaps you have been getting into a state over what your inner critic says are just small events that you should just get over and get on with it. Perhaps you are finding yourself arriving home from work too exhausted to do more than put your (swollen) ankles up on the sofa? Falling asleep to wake ( if you are lucky enough to get unbroken sleep) to start the whole cycle over again. But you have not had the time to reflect on the craziness of this and make a change and in the mean time is flying by. Perhaps you are shy to admit you are struggling, Perhaps you have not noticed as you keep going relentlessly, feeling guilty to ask for more breaks or rest time ‘just’ because you are pregnant. These are all signs. Hints by your body, by the universe, by your soul that you need to make a change. If you have not noticed that you are running on empty and you are still running, running running…. It is time to stop and re-evaluate your priorities. My invitation to you today is to stop. Take a little time to enquire of yourself? Am I looking after myself, am I honouring this body and this pregnancy? Ask your body how she is doing and what she needs. Then take her advice. Take some time this week to do something different, something restful and regenerative just for you. Just because. Please feel free to comment and tell me what you choose to do. I would love to hear and celebrate with you. If this story has awoken your curiosity in NPA , (the incredibly useful and versatile tool that helped me shift quickly out of overwhelm mode into a kinder, gentler state in which ironically much more is getting done with less effort) then please check out this ( affiliate) link where you can download the NPA Process sheet for free and have a go yourself. Feeling stressed, overwhelmed or burnt out and want to take some direct action with personalised support? My mother Nurture Massage Treatments are the perfect antidote to overwhelm and are a very enjoyable way to create space and time for you in your life. My birth confidence Sessions are best for you if know your life is too busy and you are suffering from overwhelm or burn out but you can't bring yourself to make the changes you need on your own. Deep transformation awaits for you if you choose to invest in this option. I will be back next week with more on the theme of overwhelm and what to do if you recognise you are either in overwhelm or fast heading towards breaking point.